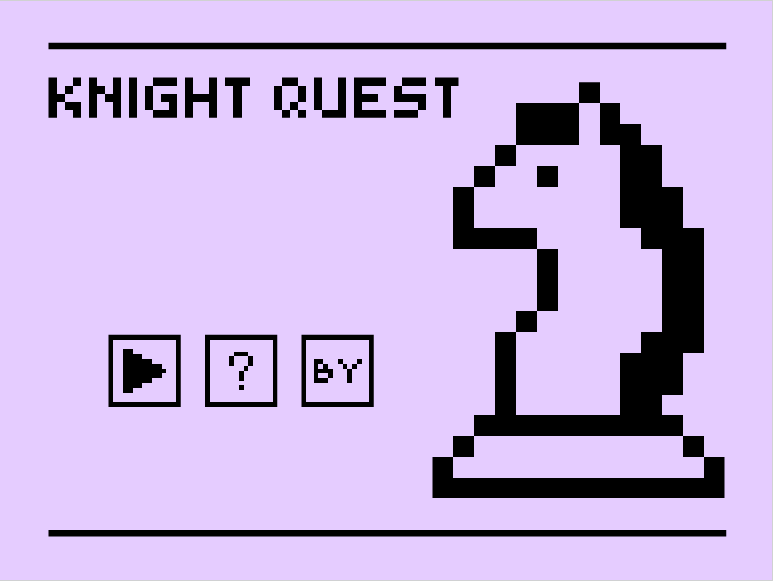 Knight Quest is an experiment on board+computer games. 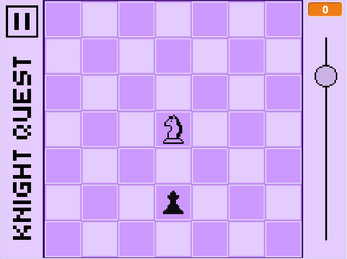 You control a chess knight and need to eat pawns in order to survive. 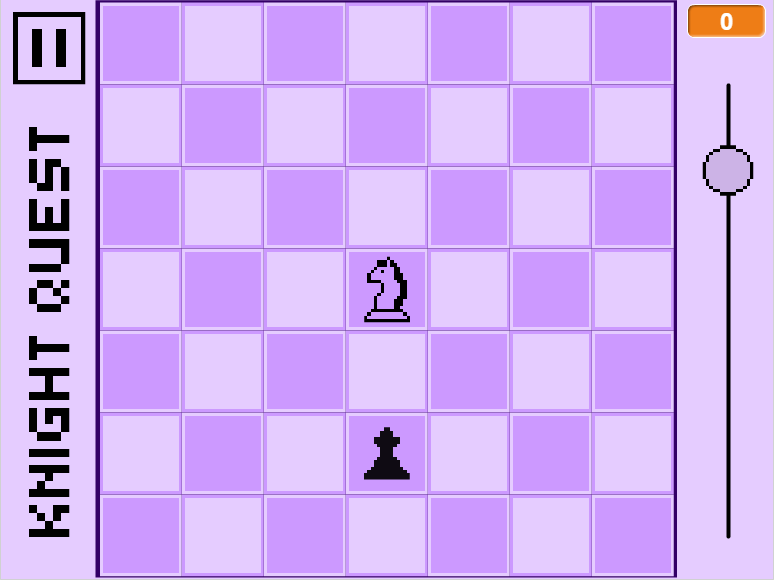 You can only use legal knight moves, else the board tile will be destroyed and out of bounds for the rest of the game. A hunger display shows you how much time you have left. 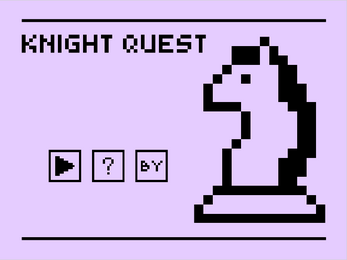 The game idea, code & music are mine. Glad that you liked it! I'm not much of a programmer, but it was a great experience getting it to work :D Thanks a lot!